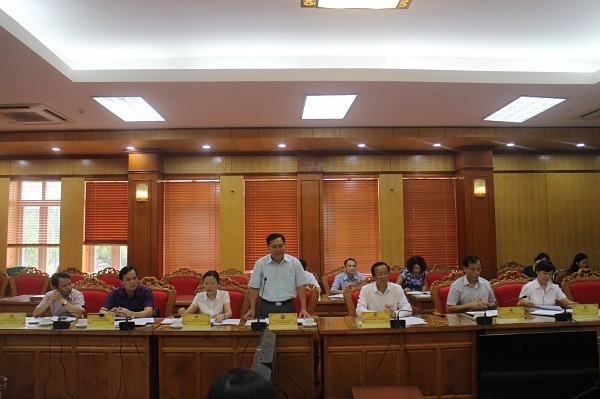 On August 18th 2017, the signing ceremony was taken place at Lang Son People’s Committee Headquarter between Lang Son Province and TNUS in terms of cooperation in training and science-technology. TNUS is the first University to cooperate with Lang Son Province in many fields. 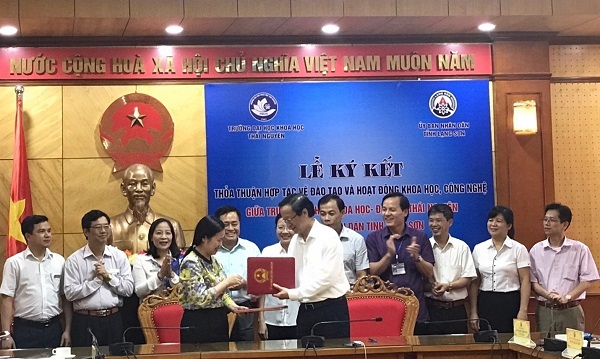 This agreement is hoped to unlock the potential for agriculture, medicinal herbs and sustainable tourism of Lang Son. At the ceremony, there was the present of the President of Lang Son People’s Committee – Mr. Pham Ngoc Thuong; Mr. Ho Tien Thieu – Vice President, Chairmen and chairwomen from Department of Science-technology, Department of Planning and Investment, Department of Education and Training, Department of Resources and Environment, Department of Agriculture and Rural Development, Department of Culture, Sports and Tourism… and TNUS representatives: Prof. Dr. Le Thi Thanh Nhan – Rector, Assoc. 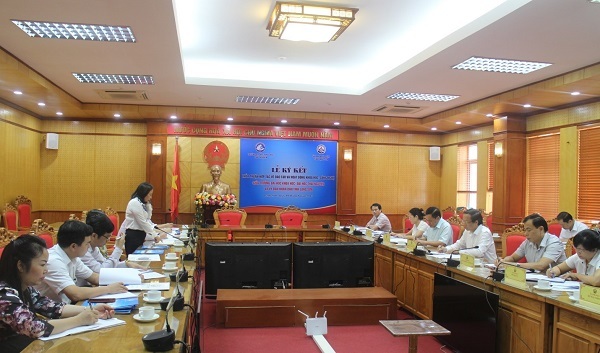 Prof. Dr. Trinh Thanh Hai – Chairman of University Council, Assoc. Prof. Dr. Pham Thi Phuong Thai – Vice Rector, Assoc. 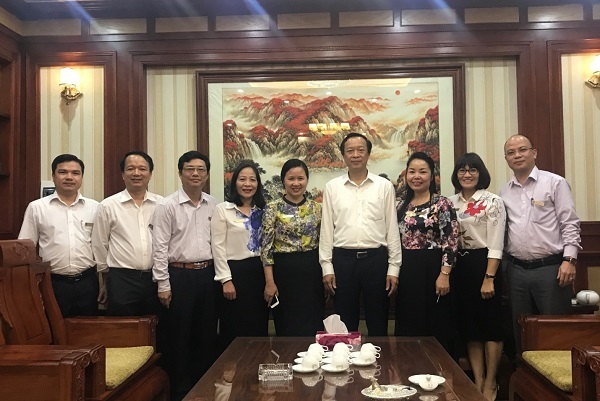 Prof. Dr. Duong Nghia bang – Director of Institute of Science-technology, leaders from the offices and departments and scientists. The terms signed in the agreement will be implemented immediately after the ceremony. Annually, both sides will have a meeting for the assessment of the agreement implementation and propose the activities for the next period. The President of Lang Son People's Committee and TNUS leaders and staffs.